I saw this hashtag this morning on Facebook and I thought now that is a great hashtag! But how about #thankfulmonday, or #thankfulsaturday?? Maybe I'll start a new trend. 1. I'm grateful for my body. I'm grateful that I can walk, run, jump, move at my own free will. That I can live an active life and that I don't have any real physical limitations. 2. I'm grateful for rain (yes I'm from Washington). But seriously. Something about big dark clouds and pouring rain just leaves me calm and peaceful. But I love how beautiful it makes the tree's and plants. People may complain about our rain but they forget if we didn't have it Washington wouldn't be the green we love so much! 3. I'm grateful for the Gospel of Jesus Christ and for the reminder that through faith and hope in Christ all will work out. For the knowledge that my Heavenly Father has a plan for me and that as I do my best and follow Him he will direct me down a path that is better then I could have imagined. 4. I'm grateful for my siblings. Yes we occasionally fight, say mean things to each other. But more importantly we love each other! We support each other and we always want what is best for each other. 5. I'm grateful for my parents. I'm grateful that they love me and support me. That they let me hangout with them whenever I want. That they include me in everything they do, and they actually want me around. I'm grateful for the way they raised me. To work hard, love the Gospel of Jesus Christ and to love one another! 6. I'm grateful for Taylor Swift. Judge me if you want but her songs just fit every mood and always say what I can't. I know her songs aren't deep or profound but I'm not deep or profound so its perfect. Plus they are great to dance to. If you don't feel the need to bust a move to "Shake It Off" we need to have a talk. 7. I'm grateful for warm cozy blankets. There is nothing better then a warm blanket on a cold, cloudy day. 8. I'm grateful for friends who remind me of my potential and talents when I'm not feeling super great about myself. 9. I'm grateful for pineapple. Not just because it is in Psych, the greatest TV show ever. But because when it is ripe it is so delicious. I'm not a very descriptive writer but man it is just so good! 10. I'm grateful for warm water and lemon oil. When I get to work in the morning I'm usually freezing but I get some warm water, put some oil in it and this girl is one happy camper! What are you grateful for on this #thankfultuesday?? Great list of awesome things to be thankful for! We really do have so much good in our lives! I know right! Oh and number 11. That I'm no longer feuding with Amy. I have seen every. Single. Episode. Of Psych. Because it is pretty much the greatest. I think their is going to need to be a Tribute to Psych Part 2 in the very near future. Love this! 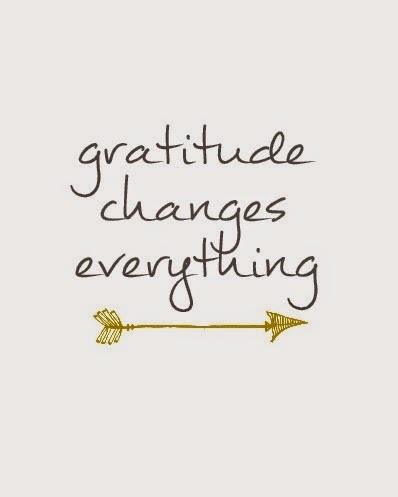 I love, love, love gratitude posts. It helps remind me of the good things in my life! Thanks for sharing yours! Thank you! I know life is hard but like you said their are so many good things in life. I just want to recognize those things, not the hard things! I love reading other's gratitude list. You can tell a lot about a person by what they are thankful for. YES. This post is my thoughts exactly right now. I've been really working on taking time to be grateful each day. It makes such a difference! Thanks for sharing this with Hump Day Happenings.